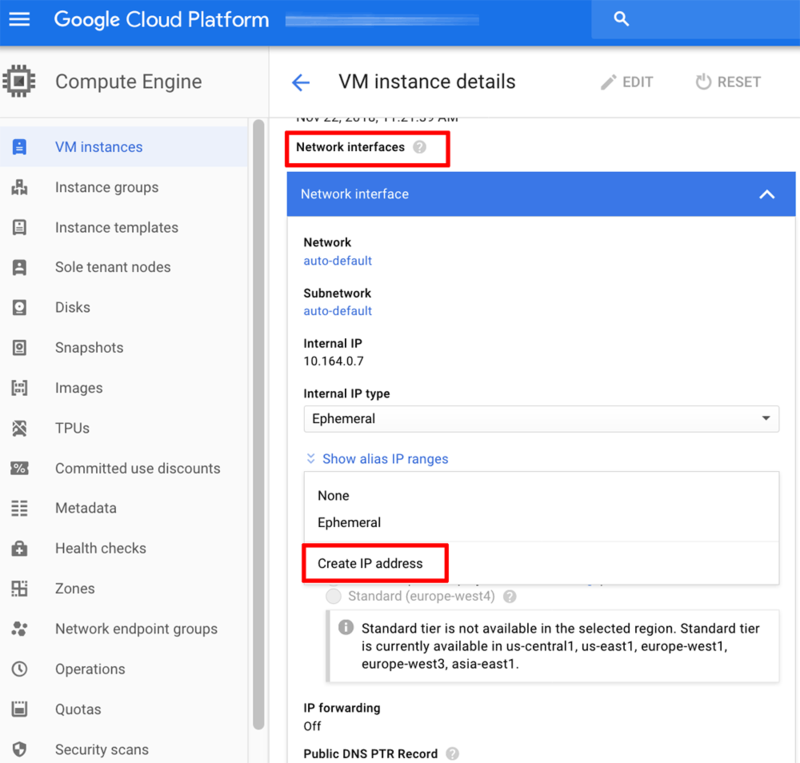 Google Cloud Platform instances are launched with a dynamic IP address by default, which means that the IP address changes every time the server is stopped and restarted. In many cases, this is not desired and so, users also have the option to assign the server a static IP address. The resulting page displays a list of VM instances. Select the instance which you wish to configure and click the “Edit” button in the top menu bar. In the “Network interfaces” section, find the “External IP” field and set the value to “Create IP address”. 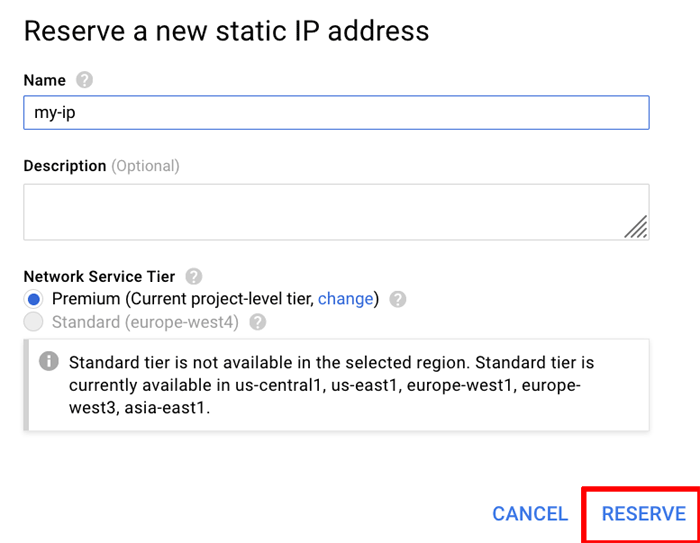 In the “Reserve a new static IP address” dialog, enter a human-readable name for the static IP address and click the “Reserve” button to create the static IP address. Click “Done” in the “Network interfaces” section and then “Save” on the instance edit page to save your changes.